The largest and biggest business and IT change Hampshire County Council has implemented in recent times has been heralded a success. On 16 January, three teams from Applemore College rustled up their confidence and found their voices to compete in the first round of Hythe and Waterside Rotary “Youth Speaks” competition. Family and friends of head injury survivor, Terry Hosey, undertake the “3 Peaks Challenge” and raise £5,750.12 for “Percy’s Pals” to purchase a Portable Brain Scanner for Southampton General Hospital. Steven Allen has once again put pen to paper and delivered a script which is guaranteed to tickle the tastebuds of all the family. New Forest residents are reminded to leave lights on in their homes if they are going out in the dark winter evenings. As the evenings draw in this autumn, cyclists are reminded to make sure they are seen by other road users. Can you put the ‘Scare’ into ‘Scarecrow’? Exbury Gardens in the New Forest is set to stage its annual Ghost Train during half-term week, Sat 25 October to Sun 2 November, and is appealing for charities, clubs and societies to fashion suitably spooky scarecrows. The jewels in Southampton’s heritage crown will be open for visitors over Heritage Open Weekend on Sat 13 September. Witnesses are being sought by police in the New Forest after a 44-year-old man was seriously injured in a fail to stop collision in Blackfield on Thursday, August 21. What will your children be doing this summer? School’s out for the long summer holiday and parents are reminded to check where their older children are going and who with. Don’t help burglars break into your property by leaving tools lying around outside when you’re not at home. Old or worn electric blankets could be dangerous and cause a fire. The FBU recently announced further dates and time periods for industrial action regarding the ongoing pension dispute. Exbury’s 200 acre woodland garden in the New Forest is renowned the world over for its unrivalled collections of spring and early summer flowering trees and shrubs. “You don’t have to put up with antisocial behaviour in your neighbourhood” – that’s the message being given to victims in the New Forest. Over the summer, all New Forest District Council residents will receive a letter telling them about the biggest change to the electoral registration system in nearly 100 years. Everything you need to know about the Apprenticeship 2018 recruitment campaign can be found on the Apprenticeship programme website. 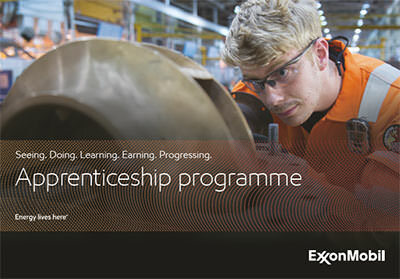 Please visit www.exxonmobil-fawley.co.uk for further information. If you have any enquires concerning the ExxonMobil Fawley Site please telephone: 023 8089 2511 anytime of the day or night. Please Note: Fawley Online is not responsible for the content of external websites listed within the pages of this website. Copyright © 2005 - 2019 John and Jacqueline Brown trading as TLC Online. All rights reserved. This website is owned by John and Jacqueline Brown trading as TLC Online. John and Jacqueline Brown are not responsible for the accuracy of the information posted on this website. Whilst Fawley Online receives sponsorship from Esso Petroleum Company, Limited, Esso has no ownership or control over this website or the content herein.